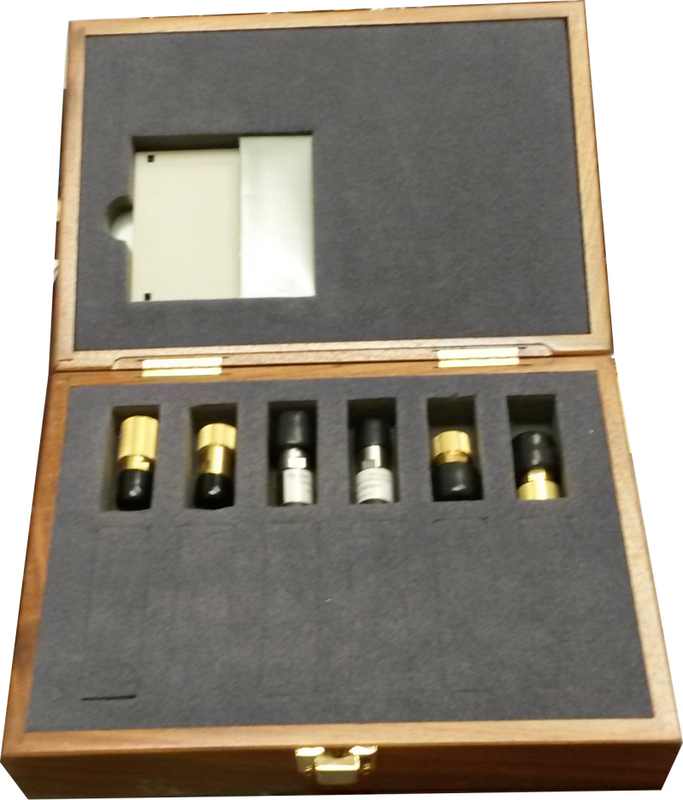 The Keysight 85032F calibration kit contains precision 50 ohm type-N standards used to calibrate Keysight network analyzers. Standards include fixed terminations, open circuits, and short circuits in both sexes. This kit is specified from dc to 9 GHz.